Providing ongoing housing supply and a range of housing types in the right locations will create more liveable neighbourhoods and support Greater Sydney’s growing population. The NSW Government has identified that 725,000 additional homes will be needed by 2036 to meet demand based on current population projections. By 2056, it is anticipated that significant further housing supply will be required to meet Greater Sydney’s continued strong population growth. Between 2000 and 2010, dwelling completions across Greater Sydney declined substantially with less than half the number of homes completed in 2010 compared to 2000 (refer to Figure 14). However, the population continued to rise and household occupancy rates declined. In recent years, there has been a significant turnaround with more homes being built than at any time in Greater Sydney’s history, with 37, 974 new homes completed in the year to January 2018. The Government’s current programs are contributing significantly to housing supply (refer to Figure 15). Sources: Greater Sydney Commission, New South Wales Department of Planning and Environment & New South Wales Government Housing Affordability Package. As part of this unprecedented level of supply, a range of housing types, tenures and price points will be needed to meet demand. This refers to all types of houses, apartments, terraces and villas; to different tenures including dwellings that are owned outright, mortgaged or rented; to homes occupied by single people, families and groups. A range of housing types provides for the needs of the community at different stages of life and caters for diverse household types. It means that as people age they can move into smaller homes and age in their own neighbourhoods, while young adults leaving home can stay close to their families and communities. Good strategic planning can link the delivery of new homes in the right locations with local infrastructure. Strong collaboration by State and local governments can best achieve the coordination required for local infrastructure to support additional housing and create liveable neighbourhoods. Planning and designing for better places respects and enhances local character. Importantly, the Plan recognises that not all areas of Greater Sydney are appropriate for significant additional development. Challenges relating to a lack of access to shops, services and public transport or other necessary infrastructure, and local amenity constraints require careful consideration. Other considerations include proximity to special uses such as ports and airports (refer to Objective 12 and Objective 16). The NSW Government’s 2017 housing affordability package outlines a range of initiatives to make it easier for people to own their own homes, including an allocation of more than $2.1 billion for infrastructure to support growth. The NSW Government wants to ensure there are enough homes built to meet the growing population. However supply needs to be in the right areas, and the housing needs to be the right type and take into consideration the unique character of local neighbourhoods. Communities and councils have the lead role in determining where new housing can be delivered and how this can be done with respect to the character of the local neighbourhood. A garden in an apartment building complex. Creating capacity for new housing in the right locations requires clear criteria for where capacity is to be located. Accommodating homes needs to be linked to local infrastructure – both to optimise existing infrastructure and to maximise investment in new infrastructure. Opportunities for capacity that aligns with infrastructure can be realised by urban renewal, local infill developments and land release areas (refer to Figure 17). Opportunities for urban renewal need to be considered by location and by capacity of existing and proposed infrastructure. In older more established parts of Greater Sydney, urban renewal opportunities may exist around regional transport and strategic centres where links for walking and cycling promote a healthy lifestyle and contribute to liveability. Where there is significant investment in mass transit corridors, both existing and proposed, urban renewal may best be investigated in key nodes along the corridor. Corridor investigations can provide a longer-term strategic context while the development of precincts within the corridor is sequenced over time. distance from special land uses such as ports and airports. Local infill development – the missing middle – refers to medium density housing such as villas and townhouses within existing areas, that provide greater housing variety. areas with existing social housing that could benefit from urban renewal and which provide good access to transport and jobs. Design guidelines set out in the NSW Department of Planning and Environment’s Draft Medium Density Design Guide show how this infill can promote good design outcomes. 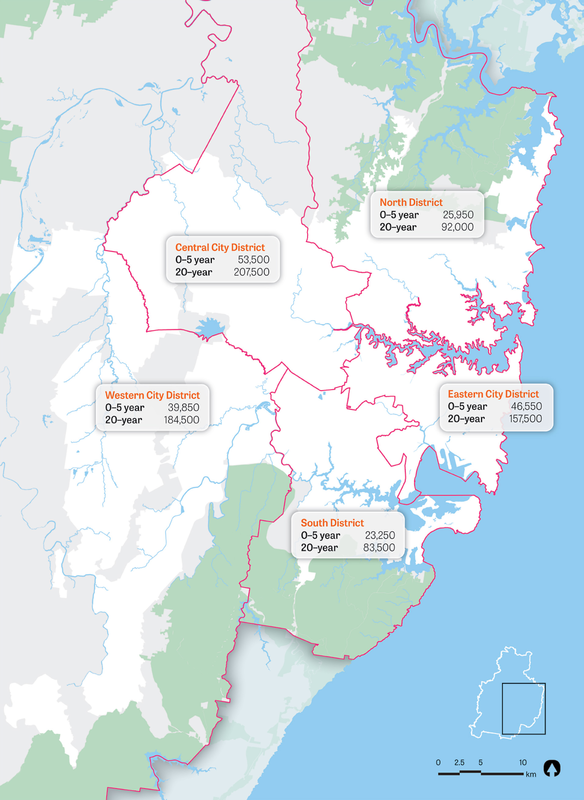 The Growth Area programs of the NSW Department of Planning and Environment guide the development of new communities in land release areas and provide significant capacity into the medium and longer term. 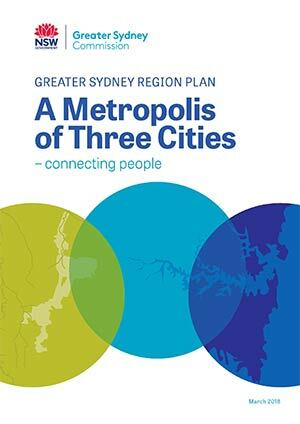 These include the North West, South West, Wilton and parts of the Greater Macarthur Growth Areas. The Western Sydney Airport Growth Area will include new communities at the same time as the development of the Western Economic Corridor around the Western Sydney Airport. A growth area north and east of the Western Sydney Airport has also been identified – Greater Penrith to Eastern Creek. This will support and manage land release development and urban renewal in association with investment in transport infrastructure connecting the Western Economic Corridor. The development of housing supply targets (refer to Table 3 and Figure 16) has been informed by an assessment of data and information sets, in particular, the NSW Department of Planning and Environment dwelling projections; the NSW Department of Planning and Environment housing supply forecasts9; the NSW Intergenerational Report; Housing Market Demand Areas10; housing market preferences; and existing local infrastructure capacity. To inform the preparation of housing strategies by councils, district plans provide housing supply targets for a 0–5 year timeframe by local government area. These five-year targets reflect the existing development pipeline and provide a focus for infrastructure delivery. Councils are to work with the Greater Sydney Commission and State agencies to establish agreed 6–10 year housing targets for their local government area. In addition, councils are to identify specific attributes that make local areas suitable for housing supply beyond 10 years. These attributes include proximity to transport interchanges and strategic and local centres (especially those with a supermarket) that can support walkable neighbourhoods with access to jobs, schools and open space and opportunities to optimise existing infrastructure. Planning for housing supply beyond 2026 is more strategic to allow for a range of changing circumstances and industry responses to market changes. Therefore the 20-year strategic housing targets at the district level, provide the longer-term context for housing strategies. Where housing market areas cross local government boundaries and where infrastructure to support growth is of cityshaping significance, a district level housing strategy may be appropriate. Councils are to investigate opportunities for supply and a diversity of housing particularly around centres to create more walkable neighbourhoods. For councils, the main tool for understanding the need and planning for housing and infrastructure delivery is housing strategies. Council housing strategies will need to address the 0–5 and 6–10 year local (when agreed) or district housing targets as well as 20-year strategic district targets outlined in this Plan. The 0–5 year housing supply targets are a minimum and councils will need to find additional opportunities to exceed their target to address demand. 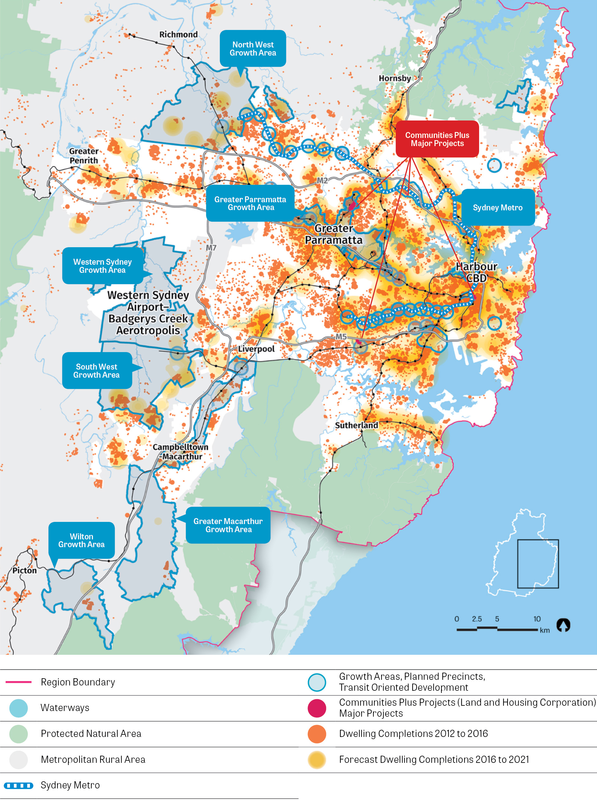 The 6–10 year housing targets will build on the five-year targets and will be agreed with councils over the next 18–24 months in collaboration with the Greater Sydney Commission as councils develop their housing strategies and identify the right locations to meet their area’s housing needs. Developers also play an important role in supporting housing outcomes. The development industry needs to continually provide new housing and translate the development capacity created by the planning system into approvals and supply. Housing strategies are to be prepared by councils for a local government area or district and be given effect through amendments to local environmental plans. To deliver co-ordinated outcomes the development of housing strategies is to be aligned with councils’ community strategic planning and inform council infrastructure investments and service programs. capacity to contribute to the District’s 20 year strategic housing target. Housing need: the projected housing need and demographic characteristics of the existing and growing community, including different cultural, socio-economic and age groups and the availability of a range of housing types, tenures and price points. Diversity: including a mix of dwelling types, a mix of sizes, universal design (refer to Objective 6), seniors and aged-care housing, student accommodation, group homes, and boarding houses. Market preferences: market demand considerations that drive the take-up of housing, including local housing preferences11. Alignment of infrastructure: opportunities to optimise transport infrastructure enabling access to jobs, health, education and recreation facilities, that align with State and local government infrastructure priorities (refer to ‘More housing in the right locations’). Displacement: managing potential impacts of growth on existing communities such as displacement by understanding the location and volume of affordable rental housing stock. Amenity: opportunities that improve amenity including recreation, the public realm, increase walkable and cycle friendly connections to centres (refer to Objective 12). Engagement: engaging the community on a range of options and neighbourhood priorities that can be integrated with new housing and benefit existing and future communities. Efficiency: opportunities for innovations in waste management, water and energy provision by determining the nature of growth, location and demand for utilities. Capacity: land with potential for rezoning for residential development. Viability: the assessment of new areas and whether the capacity created is financially viable for a range of configurations (one, two, three or more bedrooms) and is consistent with market demand and planning controls. Good design: buildings that exhibit design excellence in neighbourhoods that are walkable, cycle friendly, connected to transport and services, and have a mix of land uses to support active healthy and socially-connected communities. Environment: green infrastructure including biodiversity and waterways, local features (such as topography, heritage and cultural elements, visual impacts, natural hazards such as flooding, special land uses and other environmental constraints) lot sizes, strata ownership and the transition between different built forms. Supply: land zoned for residential development, served by adequate infrastructure and ready for development projects. Affordable rental housing: through housing diversity for those on moderate incomes and affordable rental housing for low and very lowincome households (refer to Objective 11). Local character: recognising the distinctive and valued combination of characteristics that contribute to local identity. Social housing: more and better access to supported and/or subsidised housing. Delivery: the staging of enabling infrastructure, upgrades or expansions of local infrastructure such as schools, open space including sportsgrounds and community facilities. Monitoring: homes completed and ready for occupation. A place-based planning approach to the development of housing strategies will help facilitate high quality urban outcomes including the creation of walkable neighbourhoods which support active and healthy lifestyles, as well as the creation and renewal of great places (refer to Objective 12). The Greater Sydney Commission’s research has identified a need to create a long-term housing pipeline across Greater Sydney for the next 10 years and beyond. The NSW Department of Planning and Environment’s Planned Precincts and Growth Areas programs play a role in supporting housing supply. However, given the scale of Greater Sydney’s housing challenge and the associated timeframe to rezone land and to bring houses to market, additional capacity is required to meet 20-year strategic housing targets. As such it is necessary to take a longer-term view and where needed start planning for the 10–20 year horizon (2026–2036). Planned Precincts will be consistent with the Objectives and Strategies of the Plan and relevant District Plans to enhance liveability, productivity and sustainability. These precincts will be designed and delivered in collaboration with councils and informed by key State agencies and their asset plans. This planning will be supported by a Special Infrastructure Contribution or similar arrangement to help fund the delivery of essential community infrastructure such as health, schools, open space and roads. The identification of opportunities for new housing is only part of the solution. Linking new housing to infrastructure is equally, if not more, important to realising supply. This has been shown in cityshaping transport projects such as Sydney Metro which will deliver 31 new and refurbished stations and unlock significant opportunities for urban renewal and connectivity. The Greater Sydney Commission’s Infrastructure Delivery Committee will improve coordination across key State agencies to align high-growth areas with infrastructure delivery. The Committee is a whole-of-government approach with membership of Sate agencies including Treasury, Transport, Planning, Health and Education. The Infrastructure Delivery Committee oversees the pilot process for the coordination of growth and infrastructure delivery – growth infrastructure compacts (refer to Chapter 3). To create a long-term housing supply across Greater Sydney, the Greater Sydney Commission and the NSW Department of Planning and Environment will work with councils to understand local needs and local opportunities for the right housing in the right locations. Where Growth Areas are developing or revising land use and infrastructure strategies, provisions under a State environmental planning policy or section 9.1 Direction of the Environmental Planning and Assessment Act 1979 may also apply. A growth area connecting the Penrith CBD and St Marys through to the M7 Motorway/Eastern Creek with new mass transit lines has been identified. This provides the opportunity to integrate land use and transport planning at a suitable scale. Growth in appropriate locations can contribute to a connected, vibrant Western Parkland City with more homes, jobs, services and open space. A first stage of a North South Rail Link, from St Marys to Western Sydney Airport and Badgerys Creek, a potential connection from St Marys to Rouse Hill, intersecting with existing heavy rail corridors, creates opportunities for renewal and revitalisation. The growth area includes activity nodes such as the Penrith CBD, the Penrith health and education precinct as well as the centres of St Marys, Mount Druitt and Rooty Hill. Work on this area will build on that undertaken for the Greater Penrith Collaboration Area and will include strategies to promote tourism. It will consider opportunities to capitalise on the benefits of the potential development and expansion of health, education or other social infrastructure in these centres. Councils to prepare local or district housing strategies that respond to the principles for housing strategies and housing targets published in the District Plans. Housing strategies will outline how housing growth is to be managed, identify the right locations for additional housing supply in each local government area and inform updates of local environmental plans. Updated local environmental plans that respond to housing strategies are to be submitted within three years of the finalisation of District Plans, or two years in the case of priority councils where funding has been provided. 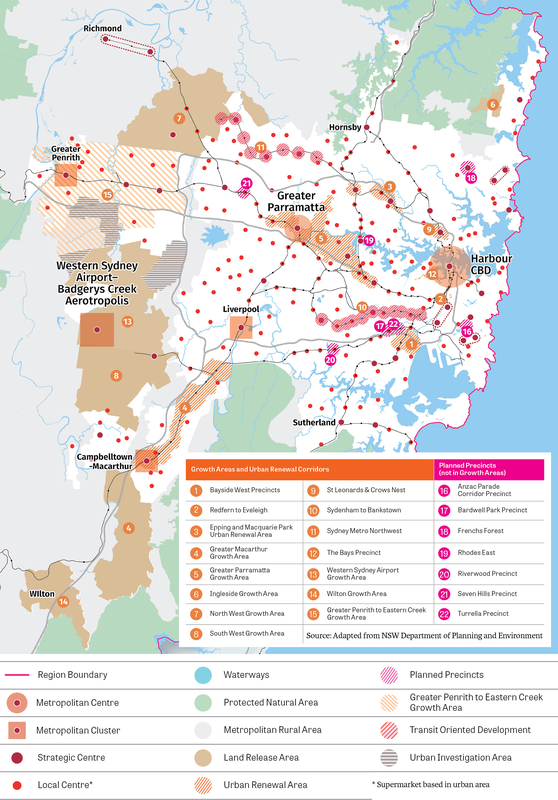 To inform the development of updated local environment plans and housing strategies the Greater Sydney Commission to work with each council and other agencies within Greater Sydney to develop 6–10 year housing targets.